Want to watch live streams on Ubuntu via your favorite video player? 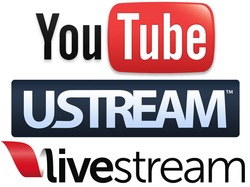 Well, here’s how to do it using Livestreamer which supports most of the big streaming services such as Dailymotion, Livestream, Twitch/Justin.tv, YouTube Live, UStream. Livestreamer is a Command Line Interface that pipes video streams from various services into a video player, such as VLC, Mplayer. The main purpose of Livestreamer is to allow the user to avoid buggy and CPU heavy flash plugins but still be able to enjoy various streamed content. It’s very easy to use this tool. 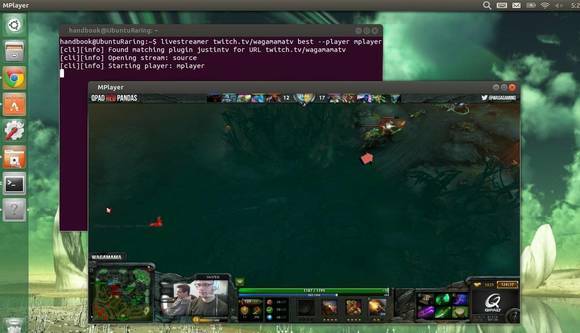 Let’s say you want to watch the stream located on http://twitch.tv/day9tv, just run below command in terminal (press Ctrl+Alt+T to open it). It will find out what streams are available and print them out for you to choose from. Simply give livestreamer the stream as the second argument and playback will start in your video player of choice. In this case the best stream is a reference to the stream that is considered to be of highest quality, e.g 720p. The –player argument will specify the video player (It will open VLC as the default player if not specified). This will work on all current supported Ubuntu releases, include Ubuntu 13.10, Ubuntu 13.04, Ubuntu 12.10, Ubuntu 12.04, Ubuntu 10.04 and their derivatives such as Linux Mint and Elementary OS. but how do i watch new “Source thing(on twitch)” ? Does it need to be compiled or something? Can I do that installation as well on Python windows with VLC? It’s working for me on Fedora 19 with VLC. VERY NICE! i have a easy-cap video capturing device connected to usb port and it is listed in /dev/ folder as /dev/video0 . Can i play videos through livestreamer from /dev/video0. Thanks! It works just fine. Can I to do the same thing using the Totem Player 3.10?